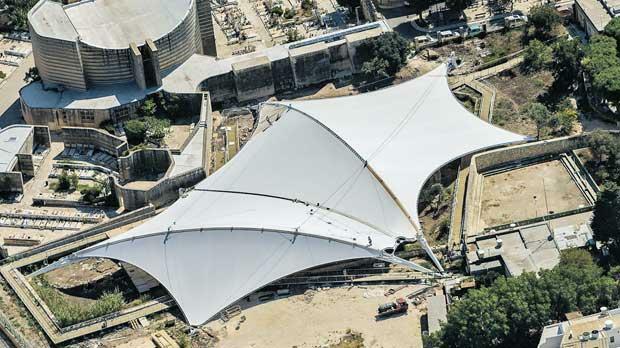 The protective tent over Tarxien Temples, which will shelter and protect the temples from direct rainfall, solar radiation and ground humidity, has been completed. The tent is designed in a way that will ensure that airflow within the site remains adequate. The structure is expected to last for 25 years.